Is reusable insulated lunch bags. Keeps food cold (or warm) for long time, depending on the outside temperature. The flat bottom keeps it upright, perfect for bottles or dishes that you don't want tipping over. The zip closure keeps it secure. Features: Is reusable insulated lunch bags. The flat bottom keeps it upright, perfect for bottles or dishes that you don't want tipping over. Soft-grip handles make it easy to carry. The zip closure keeps it secure. The original PackIt lunch bag has helped millions of people take safe, healthy meals everywhere. Cooling technology is built into the walls of the bag so you'll never waste money on ice packs again. PackIt's 10-hour cooling power makes it the smartest alternative to conventional lunch boxes and one of the best lunch bags for kids. It's perfect for school, work, the field anywhere! DIMENSIONS 10" H x 8" W x 5" D (2" H x 8" W x 5" D folded) HOW IT WORKS FOLD IT The Freezable Lunch Bag folds up neatly to the size of a thick paperback book. It secures with a handy Velcro tab for compact storage. FREEZE IT The entire bag goes in your freezer overnight (12 hours) to activate its built-in freezable gel. By morning, the walls of the bag will be completely frozen and ready to chill just like a fridge. PACK & GO Fill your Freezable Lunch Bag with food and drinks just before you leave home. Now they'll stay cool and fresh all day! (re)zip - storage bags with endless possibilities (re)zip lay-flat bags are ideal for use at home or on the go. Available in lunch, snack and gallon sizes, (re)zip lay-flat bags are food-safe, PVC-free, lead-free and BPA-free. 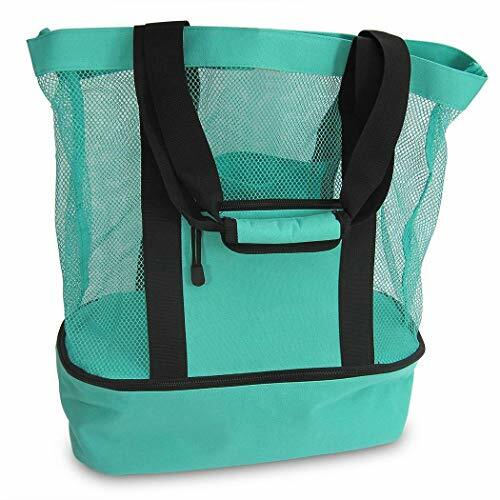 These durable, lightweight bags can be used for snacks, sandwiches, travel, home organization and more. Use them as compact travel pouches, for healthy lunches and snacks, or for bulk grocery items without having to change containers at home. The transparent design allows for a quick glance at contents inside, and the double-lock closure provides an airtight seal. 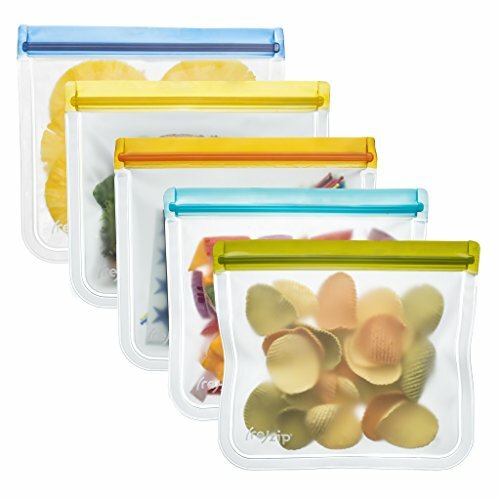 (re)zip bags are freezer safe, perfect for fruit, or soups and stocks. When not in use, the bags nest and compress flat for convenient storage. One (re)zip replaces up to 300 disposable baggies. To Clean: For best results, fill halfway with warm water and add a small amount of dish soap. Gently swirl bag to make sure all internal surfaces are cleaned, using a bottle brush on the corners if necessary. Rinse thoroughly. Drape over dishrack prongs and prop open to dry. Additional options for drying include placing over a glass or mug, or placing a fabric napkin or washcloth inside to absorb water and dry completely. BlueAvocado is synonymous with thoughtful designs and creative solutions for a greener, simpler life. Best known for its (re)zip family of products and reusable shopping and lunch systems, BlueAvocado products minimize the use of disposable bags and exemplify the company's commitment to smart solutions for life's throwaway problems. A certified B Corporation. B Corps are certified by the nonprofit B Lab to meet rigorous standards of social and environmental performance, accountability, and transparency. 5-Pack includes: 1 (re)zip in each of these colors: moss green, orange, aqua, blue, and yellow. Dimensions: 8.5 x 7.75-inch. Hand Wash.
Hey, Are you Looking for a Simple, Fashionable, Large and Durable Lunch Bag? Dear, u're really lucky to meet us, Our waterproof lunch bag must be your best choice. You'll enjoy simple but elegant lunch bag. It's the perfect lunch bags for work or school and provides everything you need to pack lunch for your busy day. Universal Size, Roomy but not bulky, VAGREEZ insulated bags can fit for most sizes of lunch containers, watter bottle, snacks, yoguart and fruits, can well meet your daily need, Great for adults or kids. Simple Color not only go with you but also suits for many occasions: school, office, weekend picnic, camping trip, etc. You'll get lots of compliments from others. WODKEIS bases on the cutting-edge of Bags. We are professional on design and production of bags, committed to providing high quality products and services to Amazon customers. If you have any problems, please contact with us by email, we will solve it for you within 24 hours. High-end PU Leather is different from general cloth, which is lightweight, soft, waterproof,dirt-proof,strong sealing,easy to clean and will not easily deformed.Its material can protects your lunch and items inside from heavy rain,simply wipe with towel or napkin to clean,no need to spend too much time for cleaning this bag. You don't need to worry about that the interior getting wet during walking in the rain. the insulation would be more strong in winter. -1 Main Zipper Compartment easily fit for your lunch container,fruits, drinks,snacks and tableware. -1 Front Pocket is designed for your quick-access items,such as your phone,paper towel,bus card,keys and so on. -Exterior is made of lightweight waterproof PU leather,easy to clean and dirt-proof. -Interior padded with thick foam insulation for keeping food stay cold/warm/fresh for longer,Up to 6.5 Hours. -Interior is equipped with eco-friendly aluminum lining that is soft, leak-proof,insulated and easy to clean. -Sturdy linen handle reinforced by dense stitching,make this lunch bag extremely durable. -Smooth metal zipper easy to open and close, will not easily be broken. 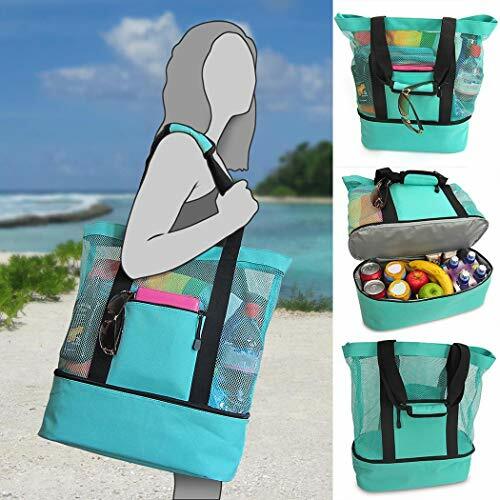 As a work lunch bag for adults use in office, a lunch tote bags carrying for college, a cooler bag filling with drinks/fruits for picnic, a lunch box bag filling with snacks for beach.this bag is fit for all groups, such as office worker, women, men, girls, boys and adults. this bag is designed to be a versatile tote.Not only as the lunch bag, this bag can use as a fashion tote bag,sundry bag,shopping bag or picnic bag. Perfect Size-Exterior:11 6.5 9 inch. weight: 0.53 pounds; This lunch bag looks small but with Large Capacity, it can easily fit for your lunch container, fruits, drinks, snacks and tableware. The Front pocket size is 10"L 6.3"H,which designed for your quick-access items, such as your phone, paper towel, bus card, keys and so on. Spacious enough to fit 12 cans of soda, enough room to for one person's lunch and more. it would be a good partner with starting your life of the healthy diet! 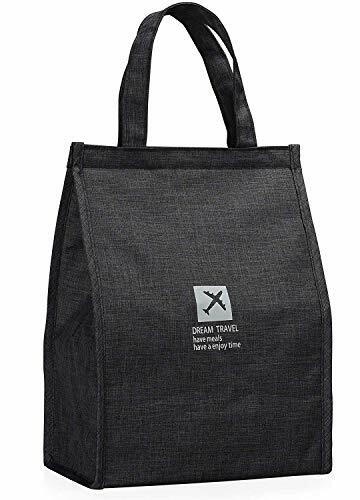 DURABLE MATERIAL-This lunch tote bag is made of lightweight waterproof PU leather with Leak proof liner, dirt-proof, soft, easy to clean, strong sealing and will not easily deformed. Its high-end material protects your lunch and items inside from heavy rain, simply wipe with towel or napkin to clean, no need to spend too much time for cleaning this bag. Smooth metal zipper and dual sturdy linen handle provide extra durability.This bag still works well after 5000 times load shaking test. Excellent Preservation & Insulation- Equipped with eco-friendly aluminum lining that is soft, leak-proof, insulated and easy to clean. 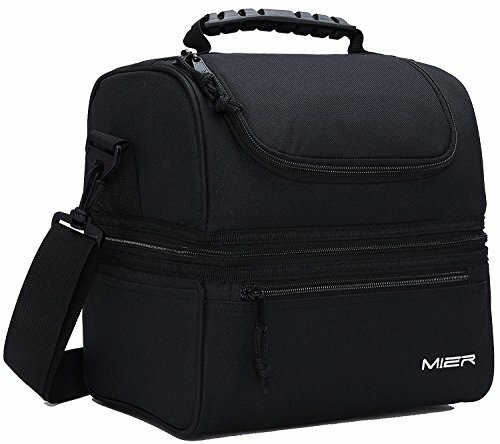 the heat-welded seams to guard against leaks, interior padded with thick foam insulation for keeping food stay cold /warm /fresh Up to 6.5 Hours, which is more longer than average lunch bags. Frozen with ice pack will taste better and fresh longer. You can enjoy perfect tasting lunch wherever you are. Portable & Stylish- The fashion lunch tote bag is extremely lightweight and comes with strong linen handles, ensure this lunch box bag use safe in weekend or work, make it convenient and comfortable for long time carrying. The Checked Pattern is simple and elegant, which are totally visually appealing styles.This bag is designed to be a versatile tote base on your need. 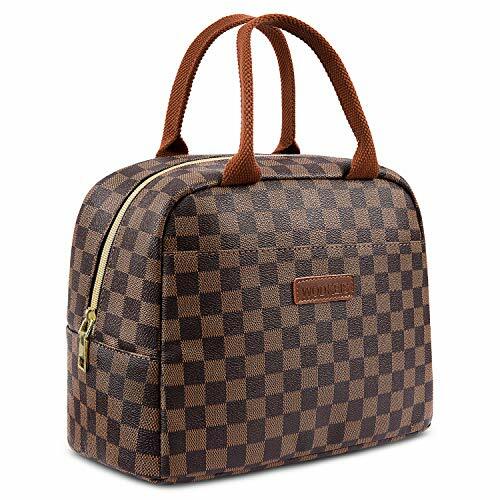 Not only as the lunch bag, it can use as a fashion tote bag, bento bag, sundry bag, shopping bag or picnic bag. MULTI-FUNCTION: This unisex lunch bag would add a unique touch to your style. 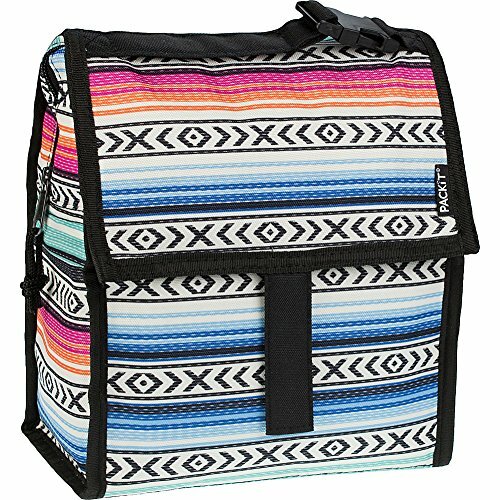 As a work lunch bag for adults use in office, a lunch tote bags carrying for college, a cooler bag filling with drinks/fruits for picnic, a lunch box bag filling with snacks for beach/fishing.this bag is fit for all groups, such as office worker, women, men, girls, boys, teens and adults.